The present publication was produced in partnership between the Special Unit for South-South Cooperation in the United Nations Development Programme (UNDP) and the International Labour Organization (ILO). 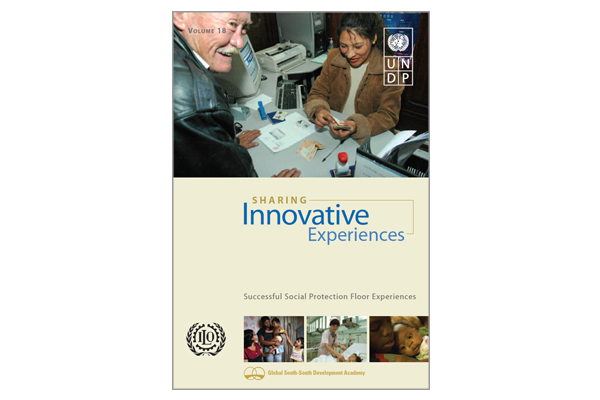 This volume highlights 18 case studies on social protection policies from 15 countries of the global South. It is the first to bring together examples of good social protection floor practices for South-South learning. The knowledge, expertise and experience that these countries have gained in their own efforts of establishing an SPF represent a valuable source for other countries interested in planning, expanding, extending or reorienting their own SPF systems. The case studies were written by representatives from national and local governmental agencies, scientific institutions and national practitioners as a learning tool.